The Freedom Juniors soccer skill training program is offered a few times during the year. The focus of the program is to help children acquire and develop the soccer skills needed for a good technical foundation. This foundation is needed to enjoy and successfully play the game of soccer at the next level. Participants will be taught by skilled, licensed and experienced instructors. Training will focus on improving dribbling, shooting, passing, ball control and other technical skills. Creativity and confidence with the ball will be encouraged. This training program is for girls and boys, grades 1 through 5. Beginners, recreation or select players wanting to improve their soccer skills can benefit from the program. Sessions will be held at Hylen Souders Elementary School (Big Walnut Soccer Association fields). Registration now open! Click here for a paper copy to register or use the online registration link by clicking here or go to the registration link on our homepage. Freedom Soccer Club director, Ian Pena, will oversee the program. Ian has an USSF 'A' license and is an Olympic Development coach with Ohio South Youth Soccer Association and US Youth Soccer Region II. 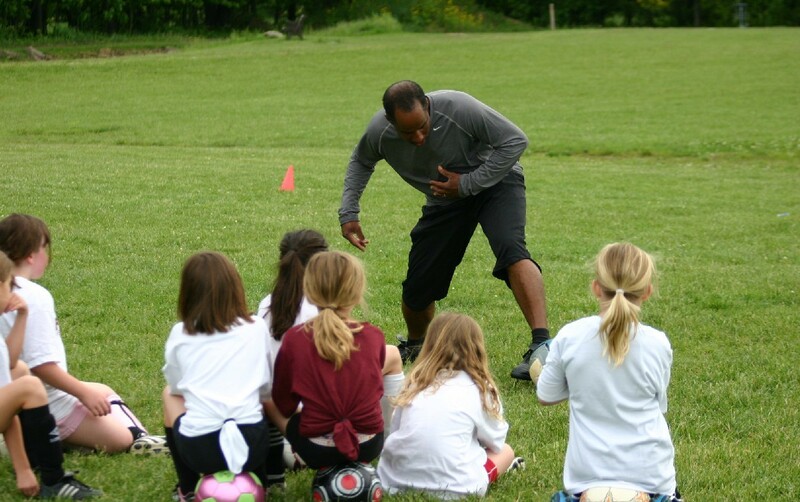 Ian was the 2006 girl's coach of the year and is a licensing instructor for Ohio South. He was a coach with Capital University Women's Soccer program. Capital University was 2013 NCAA Division III Women’s Soccer Tournament National Semi-Finalist; has had five (5) NCAA Division III Women’s Soccer National Tournament Appearances, and ten (10) Ohio Athletic Conference Women's Soccer Championships. The BWSA summer camp will be held in June 21st - 24th, 2019 from 6 to 7:30 pm. This camp is for ages 7-14. Registration coming soon!